Dead Sea Spa Hotel - A great holiday in a unique location Tamares Hotels is proud to present Daniel Dead Sea Hotel. 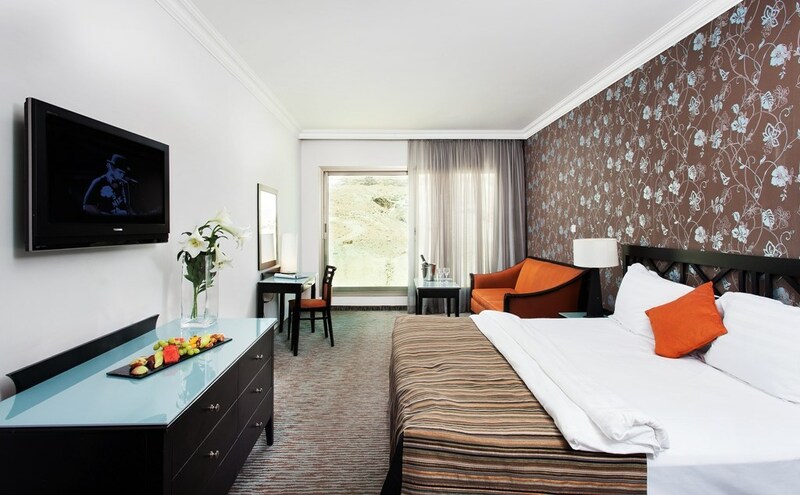 Situated at the world's lowest point, on the shores of the extra ordinary Dead Sea, the hotel is just a short distance from ancient biblical and historical sites such as the stronghold of Masada. 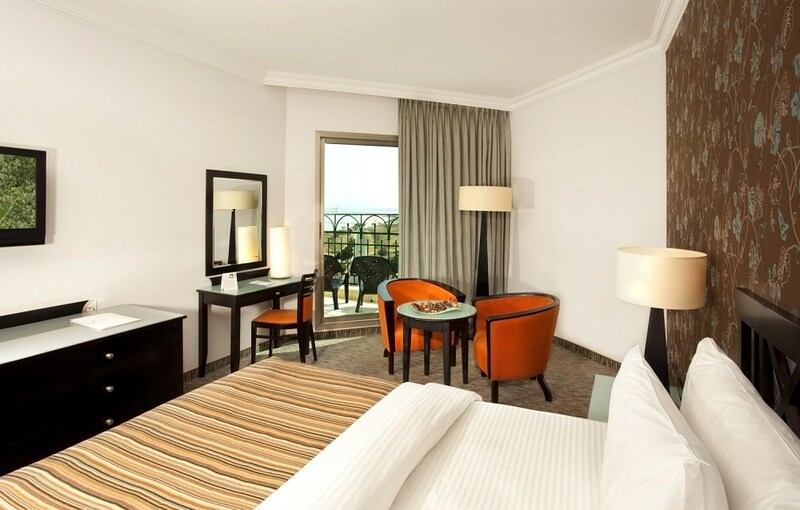 Luxury Rooms and Suites The Daniel Dead Sea Spa Hotel has 302 luxury rooms, of which 12 are lavish suites. Each room enjoys views of the desert and the Dead Sea, and warm touches such as fresh fruit bowls create a relaxed, resort feel. Cozy and comfortable, rooms are floored with locally produced ceramic tiles, perfect for the desert climate. Club Royal SuiteLocated on the 9th floor, the Royal Club Suites feature a bedroom and lounge, as well as a huge sun balcony with a Jacuzzi overlooking the pool and Dead Sea. All suites are suitable for a couple, and include a spacious bathroom with a Jacuzzi and shower, LCD television, a sitting corner, pampering robes and slippers, and a tea&coffee set. Guests over the age of 18 enjoy free entry to the Business Lounge and Spa. RoyalSuite Located on the hotel's 6th and 8th floors, the Royal Suites include huge sun balconies with Jacuzzis and views of the pool and the Dead Sea. The rooms are suitable for a couple, and include an LCD television, a large sitting corner, pampering robes and slippers, and a tea & coffee set. In addition, guests over the age of 18 enjoy free entry to the Business Lounge and Shizen Spa. Super Deluxe Balcony Located on the 3rd and 7th floors, the Super Deluxe Rooms invite guests to enjoy an especially large balcony facing the sea and pool. 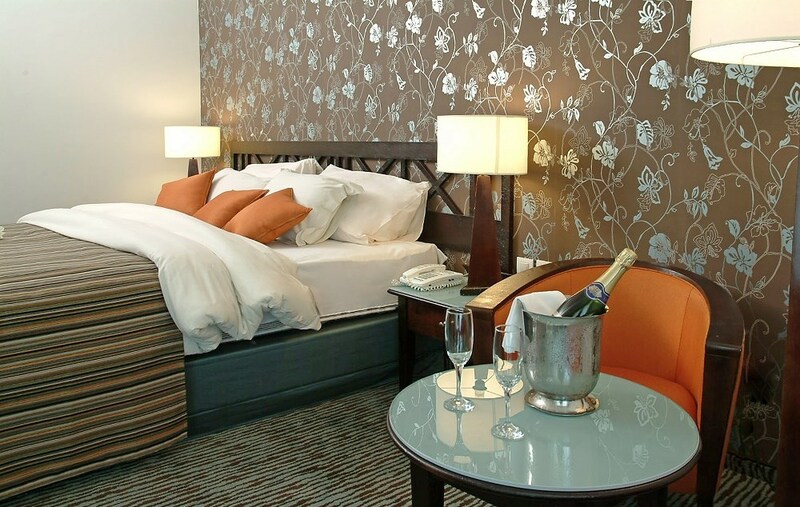 The rooms include an LCD television, a sitting corner, and a tea & coffee set. 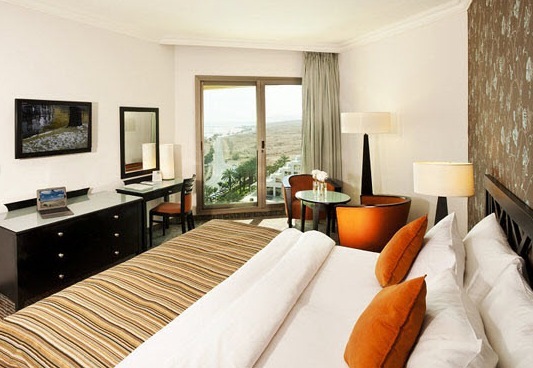 Club Junior Suite This suite with views of the pool and Dead Sea is a large studio room with a movable partition. 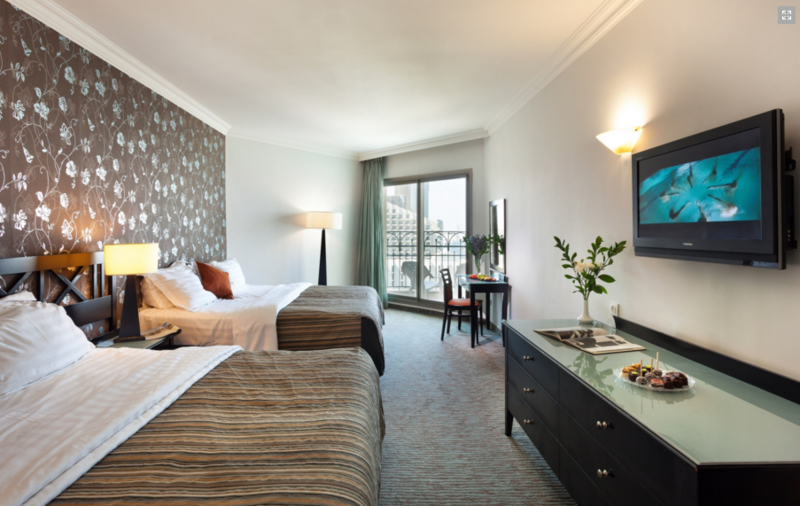 Suites on the 8th floor are suitable for a couple with 2children up to the age of 12, and Suites on the 9th floor are suitable for a couple. 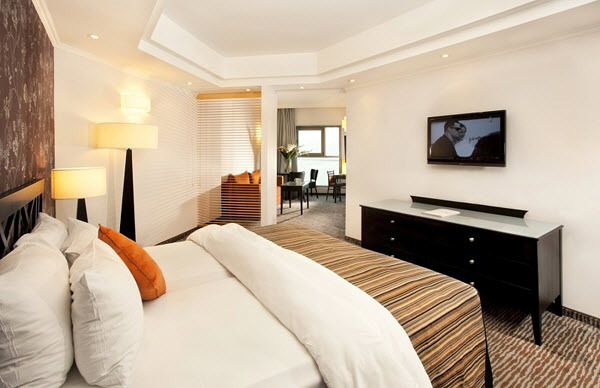 All suites include two LCD televisions, a sofa bed, a sitting corner, and a tea & coffee set. Guests over the age of 18 enjoy free entry to the Business Lounge and Spa. Family RoomThis type of room is particularly spacious, featuring two double beds and partial views of the mountains and the Dead Sea. The rooms are suitable for a couple with two children up to the age of 12, and include an LCD television, a sitting corner, a spacious bathroom with a Jacuzzi, and a tea & coffee set. 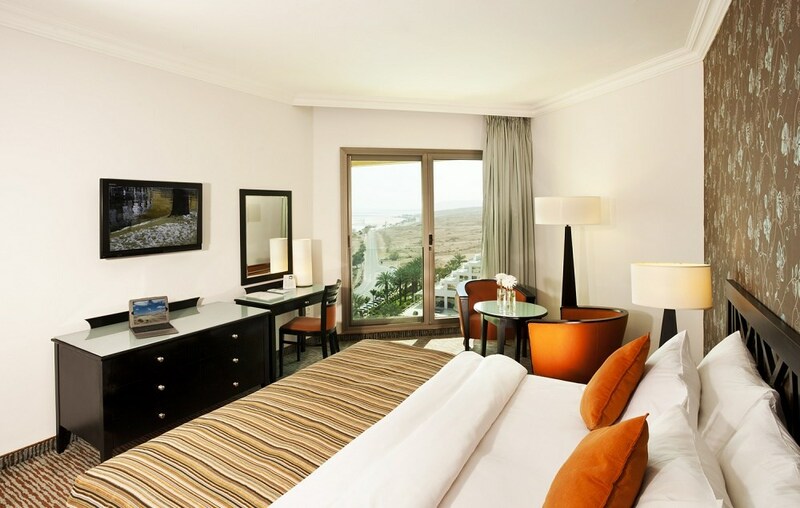 Junior SuiteViews of the pool and Dead Sea complete the atmosphere in this luxurious suite, which features a large studio room with a movable partition. The rooms include two LCD televisions, a sofa bed, a sitting corner, and a tea & coffee set. 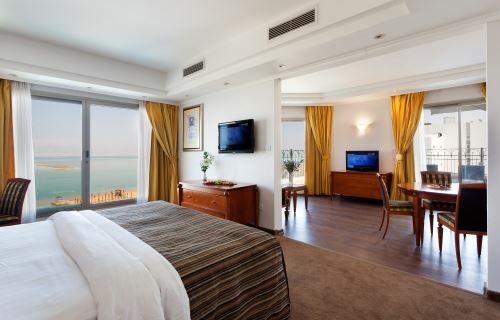 Family Room With BalconyThese spacious rooms Offering a balcony with partial views of the mountains and the Dead Sea. 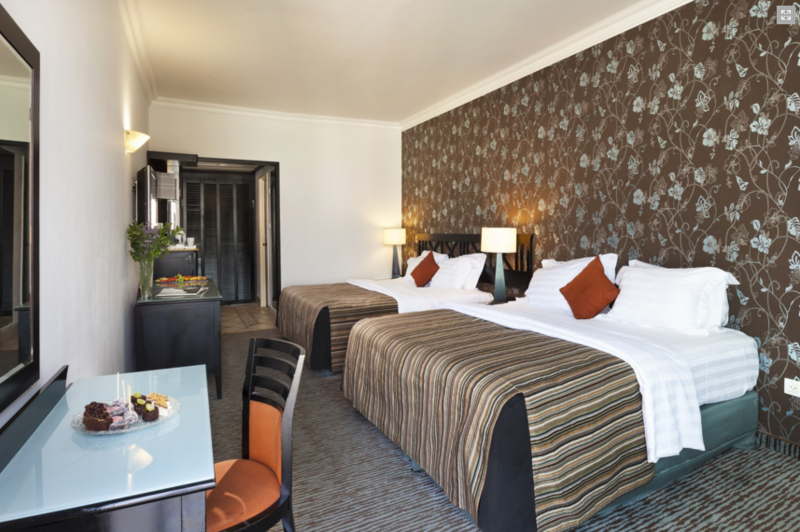 The rooms feature two double beds, an LCD television, a sitting corner, a spacious bathroom with a Jacuzzi, and a tea & coffee set. Deluxe Room With BalconyThese Deluxe Rooms with balconies are located on the 5th - 7th floors of the hotel, with views of the pool and the Dead Sea. 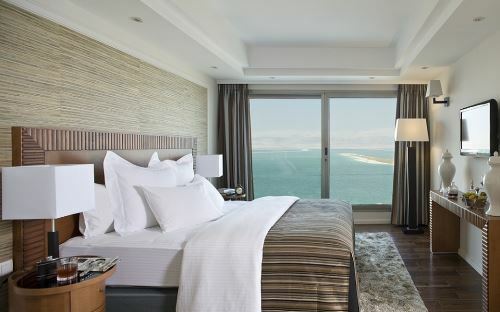 The rooms include an LCD television, a sitting corner, and a tea & coffee set. Classic Room With BalconyLocated on the 3rd - 7th floors of the hotel, these Classic Rooms feature a balcony with a partial sea view. The rooms include an LCD television, a sitting corner, and a tea & coffee set. Classic RoomLocated on the 3rd - 7th floors of the hotel, the Classic Rooms either face the mountains or have a partial sea view. The rooms are suitable include an LCD television, a sitting corner, and a tea & coffee set.